You want to talk to people about it, preferably who have also been diagnosed with the same sleep disorder. You want to know about their experiences, dilemmas and most importantly, how they (along with their spouses) are coping with it. In other words, you are keen to get in touch with support groups. Know what triggered sleep apnea symptoms in you? In other words, why did you get sleep apnea? This is important information for you, because if you know the causes, choosing a treatment option becomes easier. For example, if being overweight has caused the ailment to affect you, then immediate weight loss can help ease the severity of the symptoms. You have heard a lot about CPAP therapy? What is it? Are you the right candidate for this therapy? You want to know as much as possible about the treatment options. What are they? How is a specific option selected? And more on this topic. It is recommended that you follow these simple steps as soon as you have been diagnosed with sleep apnea so that you are better informed about what is in store for you and how to cope with your illness. Perhaps the first thing you should do is not to panic about your recently-diagnosed condition. 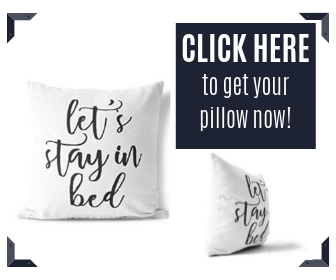 Not that the high prevalence of this sleep disorder is meant to offer you any consolation, but you might like to know that it currently affects 18 million American adults. Increased risk of sleep-related accidents, primarily because of excessive daytime sleepiness, one of the main outcomes of the disorder. Essentially, sleep apnea treatments depend entirely on the severity of the condition and the location of obstruction in the upper respiratory tract. 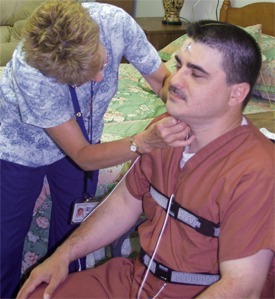 Your doctor would give you information about both of them, as they are evident from the polysomnography results. Obesity: excessive fat accumulation in the soft palate, throat, tongue and uvula can cause obstruction in air flow. Extra fat also thickens the walls of the windpipe making in narrower. Common cold, sinus infections, chronic nasal obstruction, including choanal stenosis, severe septal deviation, allergic rhinitis, nasal polyps, and rare nasal and/or pharyngeal tumors are major but common causes of snoring, which when neglected can be the cause of sleep apnea. There can be several types of anatomical defects/abnormalities that cause loud and persistent snoring. These include enlarged tonsils and tongue (larger in comparison to the opening to the windpipe), enlarged adenoids, airway/ nose/throat abnormalities, misaligned jaw bones, etc. Larger head and neck size can also narrow the airway dimensions. Excessive alcohol consumption: alcohol over-relaxes the muscles including breathing muscles, which if they are weak and flaccid tend to collapse and obstruct normal air flow. Ageing can also impact the breathing muscles in the sense that with advancing age, the throat muscles may find it tougher to remain stiff during sleep, as they have become weak and malleable. Step Four: Who else is suffering and how are they managing? Get familiar with A.W.A.K.E Groups: A.W.A.K.E. stands for Alert, Well, And Keeping Energetic. Joining this group is free. Established in 1990, there are numerous such education and support groups located in every state bringing apnea patients in one platform. This support group can offer you tools so that you manage your condition better. With their current database, you can easily locate a support group close to your home. What can you expect from an A.W.A.K.E Group? You come to understand that you are not alone fighting the illness; you get authentic and medically-approved information about the condition and its management; you get an opportunity to be heard and ask questions to other sufferers. All these initiatives can help you stay with the recommended therapy and make it work for you. Even if you have not yet started to receive treatment, you too can join. How do these support groups function? There are usually patient volunteers and health professions who work as coordinators who find experts to speak on a range of subjects pertaining to the disease. These include new research, what to expect from each treatment option, importance of weight loss, etc. The groups decide their meeting frequency (monthly, weekly etc). You too could start an A.W.A.K.E Group in your locality! If you have the initiative and the drive to bring people together, who are suffering from similar problems, this is the time to show your leadership abilities and show others how one can live with sleep apnea. Learn about how to start a support group to help your friends and neighbors who have also been diagnosed with sleep apnea by visiting American Sleep Apnea Association site. What are the other steps you can take to talk to other apnea patients? Join the Apnea Support Forum. With 3000 daily visitors, the forum is a valuable resource for any apnea patient. Here patients answer each other’s questions and you could find what you are looking for by searching the several categories like CPAP and CPAP-mask related topics, sleep studies, monitoring progress of therapy, etc. You could also access the latest information about sleep apnea from Apnea Association’s page on Facebook. American Sleep Apnea Association website also has links that provide you with information that can help you deal with insurance issues. What kind of help can you expect from ASAA if you initiate to become a coordinator of your local A.W.A.K.E group? E newsletter exclusive for coordinators. Access to participate in Learn webinar and quarterly lunch. Subscription to Wake-up Call, the ASAA newsletter. Phone support from their national office as needed. 50%discount on ASAA resources such as our DVD and literature. Group’s listing in their searchable A.W.A.K.E. database online. Referrals of members and callers who live in your area. Hopefully, the above information would give you enough cues regarding how to access a support group in your local area. Let us now learn about the options available for the management of sleep apnea. Quitting alcohol and smoking as these narrow the air passage further and aggravate obstruction. Smoking also results in water retention that results in airway obstruction. Alcohol over-relaxes the breathing muscles causing them to collapse during sleep and block the air passage. Gargling with warm saline water can reduce the dimensions of enlarged tonsils. Avoid consuming bananas and dairy products that may increase mucus production in nasal passage. Lose weight. by physical exercise and diet control. Since obesity is one of the prime causes of snoring and subsequently sleep apnea, losing weight could be an important self-help strategy to control sleep apnea.Even a loss of small amount of body weight can improve throat restrictions during sleep. Avoiding caffeine, sleeping pills and other types of sedatives can be one of the most plausible therapy options for which you do not need any doctors’ help. Apnea episodes reduce when you get enough sleep. The way to get it is to have fixed sleep hours and have a regular sleeping schedule. Changing sleeping posture (from back to the sides or abdomen). The normal tendency is to snore when lying on the back. Sleeping on the back can also aggravate apnea symptoms. Changing positions or sleeping on the sides can often bring great relief to mild sleep apnea. Saline nasal spray, nasal dilators, breathing strips keep the nasal airway open during sleep. This simple option works well for mild cases and when the obstruction is in the outer nasal areas. Nasal decongestants like saline nasal sprays can keep the nasal pathway open. Antihistamines can also help. Learn and practice sleep apnea exercises. Toning and strengthening the otolaryngologic muscles (belonging to throat, nose and mouth) is the prime aim of these exercises, as these muscles are the ones that block the air passage by becoming weak and flaccid. Some examples of such exercises include playing the didgeridoo, singing, yawning, etc. These throat exercises primarily focus on the movements of the soft palate, palatopharyngeal arch, tongue and nasopharynx. Studies reveal that oropharyngeal exercises significantly reduce severity and symptoms of sleep apnea. Then there are special exercises for the jaw and tongue as well. Homeopathy can offer one of the most side-effect free cure options. Believers have used lachesis and homeopathic opium for getting substantial relief from sleep apnea symptoms. One of the other trusted natural therapies is the use of aroma or floral therapy. Essence of vervain flowers has a soothing effect on obstructive sleep apnea symptoms. Malfunctioning of the serotonin system can result in sleep apnea. 100 to 300 mg of 5-HTP at bedtime can bring great relief from breathing problems during sleep. Breathing exercises included in yoga can also help in clearing blocked air passages. Natural therapy options include herbs like Avena sativa, Scuttelaria laterifolia and Passiflora incarnate. These have been used for centuries for sleep apnea cure as well as for other chronic sleep problems. One could also use a combination of herbs and sleep-promoting ingredients like Hypericum perforatuma, Schizandra chinesis, Calcium lactate, Magnesium lactate and Vitamin B6. These in totality can offer a very viable sleep apnea treatment option. It is important to remember that such solutions corrects any imbalance of serotonin levels and improves both quality and quantity of sleep. Yoga and acupuncture are some of the alternative therapies that have brought relief to many patients. Though the effect of acupuncture has not been studied extensively, healing is considered to be a result of fine needles being inserted to relevant parts of the body to relieve symptoms. Contrary to what many would like to believe, sleep apnea treatment options need not necessarily include CPAP, though it is considered to be one of the most effective options for managing mild to moderate sleep apnea. The truth of the matter is that despite its high efficacy claims, actual usage does not go beyond 50%! Prescribing CPAP is mostly done out of habit. Close to 50% users reject this therapy after 3 months of use. 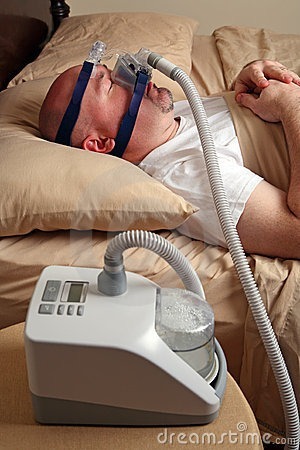 Significant numbers of sufferers are looking out for CPAP alternatives. What about dental/oral devices in place of CPAP? These are excellent CPA P alternatives, provided you are completely conversant with all the pros and cons of such devices, many of which are FDA-approved. These are worn in the mouth, like any other orthodontic appliance and you need the help of a dentist to fit them in the mouth. There are two types of sleep apnea dental devices available as sleep apnea cure. 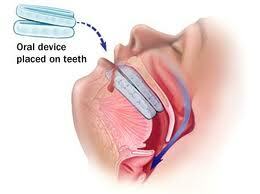 They are Mandibular Advancement Device and Tongue Repositioning Device. These sleep apnea treatment options either advance the jaw (mandibles) by pushing it forward to keep the airway open; or hold the tongue from receding backwards and obstruct the air flow. Made mostly from acrylic, these devices are fitted inside the mouth by a qualified orthodontist. Like any other sleep apnea treatments, use of dental devices is also not without its fair share of side effects. These include jaw strain and pain, excessive production of saliva, discomfort from tooth pain, sore mouth, dry lips, permanent changes in the setting of jaws and teeth, etc. Sleep apnea mouth guards also offer cure for sleep apnea by holding the tongue and/or pushing the jaw forward in order to prevent obstruction of the airway. Mandibular (related to jaw) Advancement Device or MAD: This works by bringing the lower jaw forward and also keeping it down slightly, to keep the air passage open during sleep. These look like typical mouth guards used by sports personnel. Tongue Retaining Device or TRD: This is essentially a splint that effectively holds back the tongue from falling back during sleep and keeps the airway open. Considering the fact that this is one of the most effective therapy options for managing mild to moderate sleep apnea, chances are high that you might be recommended this therapy too. Thus it makes sense to have as much information about it as possible. CPAP is the short form for Continuous Positive Air Pressure. It involves pumping in pressurized air directly into the lungs so that the airways remain open during sleep and does not collapse. Recurrent breathlessness during sleep happens when the flow of air either stops or slows down because the air passage is either blocked, narrowed or has become floppy. The therapy works by providing artificial and mechanical ventilation by supplying a steady stream of air. Comprising of three main parts – the air-generating device, the mask and tube that carries air from the device to the mask, the main device is the size of a tissue box or even smaller. They are light and generally quiet. Some units are about 6 or 7 inches in length and weigh about 2 or 3 pounds. The device has a built-in fan that pushes the air through the tube, after the machine is switched on. The air is then transmitted to the mask fitted to cover the full face, nose or nose and mouth. The amount of pressure needed to keep the airway open varies according to the severity of the condition. The equipment could have several additional features like a pressure ‘ramp’ which ensures that the air pressure increases gradually after switching the device on. Humidifiers are now part of most units. They cool or heat the moisture coming from the device for ease of breathing. atient needs. For example, the two popular options are the BiPAP (Bilevel Positive Airway Pressure) and APAP (automatic positive airway pressure) machines. The BiPAP enables the patient to choose the right amount of pressurized air separately for inhalation and exhalation, the APAP does so automatically. CPAP masks are a very important part of the therapy. Therefore, buying a mask for first-time use should be done after a lot of considerations. This is because everyone has his or her own style of breathing. While some breathe using their noses, some are mouth breathers. People also sleep in different postures – from side to the back. This makes compatibility with the mask that conveys the air into the lungs an important consideration. After all, the apnea device should not restrict sleeping or breathing habits in order to get relief from apnea episodes. Today, there are several varieties of masks available to suit different needs. Nose mask: the most common type used by most apnea users. This has straps going round the head, to keep the in position securely. Nose-face coverage: this type covers the nose as well as the mouth. For security, an extra chinstrap is attached to the mask. Face mask: also called the full face mask, this type covers the entire face starting from the bridge of the nose to the lower lip covering the chin. A typical variety usually has additional straps at the forehead and mouth for secure fitting. For mouth breathers, the this type is most appropriate. 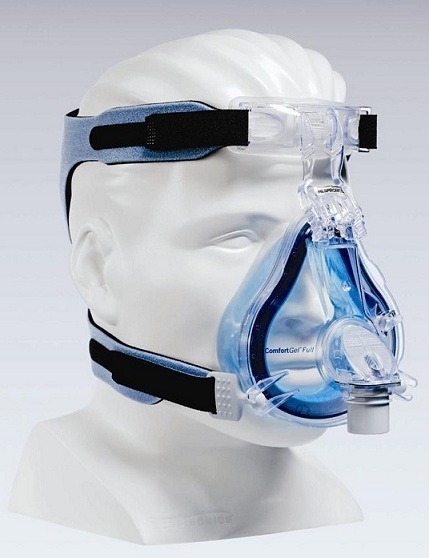 It is important that the mask fits you well, as one of the prime reasons for CPAP non-compliance is discomfort with the mask. It should be snug-fit and neither too loose nor too tight, as any leakage of air interferes with the efficacy of CPAP therapy. Discomfort: This could be due to the straps being too tight or too loose. A snug-fit mask prevents air leaks. Air leaks: This is mainly due to the wrong adjustment of the mask. All that is needed to be done is some readjustment of the straps. Claustrophobia: Feeling claustrophobic is normal in the initial phases; it normally eases out with time and practice. Skin problems: A leaky product or sweating around the item could cause some minor skin irritations. Cleansing and subsequent drying solves this problem. Restrictions on sleeping posture: The item worn to cover the face only allows the user to sleep on the back. This is perhaps the biggest limiting factor of this type of mask. As is evident, masks play the most important role in the therapy and may cause discontinuation if the user finds it uncomfortable or incompatible. The breathing and sleeping preferences should be kept in mind before the item is bought for the first time. Fortunately, several types of CPAP masks are available in the market; so selecting one that suits you should not be a problem. Improves memory, reaction time and concentration abilities. There is no dearth of choices of surgery, but the final selection is made on the basis of site of obstruction in the airway. Though the site could be anywhere in the airways, the most common locations are within the nose, throat, and the tongue base. – Nasal surgeries: Nasal surgeries are common sleep apnea treatment options that include Somnoplasty, the only surgical method that uses temperature-controlled radiofrequency energy (TCRF) to reduce and tighten excess tissues in the tonsils, nasal passage, base of tongue and soft palate. Other nasal surgeries are rhinoplasty and septoplasty. The aim of nasal surgeries are straightening of deviated septum, reduction in size of nasal turbinates etc and clear the nasal pathway for obstruction-free breathing. These surgeries manage nasal blockage caused by three common anatomical problems within he nasal cavity, including deviated septum, turbinates and nasal valve. Repairing nasal valve, repositioning septal deviation and reducing size of enlarged turbinates can be accomplished by septoplasty, a minimally invasive option. UPPP, or uvulopalatopharyngoplasty: When removing extra tissues from soft palate and pharynx is the goal, this is the surgery opted for. It is one of the most common and perhaps one of the oldest too. Laser Assisted Uvuloplasty (LAUP) removes the uvula and adjoining tissues to keep the airway open behind the soft palate. Very effective in curing snoring, its success with sleep apnea is modest. Soft palate implants or the Pillar Procedure: This minimally invasive procedure is good for treating mild conditions. It involves implantation of three polyester rods in to the soft palate that stiffens the relevant tissues and keeps the airways open during sleep. Laser assisted Pillar Palatal Implant stiffens the soft palate, which is considered to be one of the main contributors for almost 80% of people who suffer from habitual snoring. Tracheotomy, a relatively simple procedure is usually reserved for patients whose condition is life-threatening. Till the ‘80s this was the only available treatment. It involves making a small incision in the neck and a tube with a valve is inserted through the orifice for air to enter directly into the lungs. While during the day the valve is kept closed enabling the user to speak, at night the valve is opened to keep the airway clear of obstructions. These days, this form of surgery is reserved only for extremely critical cases. Some other sleep apnea surgery options include genioglossus (tongue advancement), hyoid bone advancement, maxillary or maxillomandibular advancement (MMA), etc. All these surgeries treat severe conditions as well as patients who find CPAP therapy incompatible. During surgery the surgeon may decide to remove the tonsils, enlarged adenoids, additional tissues at the back of the throat or inside the nose. As we all know, no surgery is without pain and discomfort. Sleep apnea surgeries can also have risks and complications but if the surgeon is qualified and experienced in performing sleep apnea surgeries, you can expect good rate of success and safety. What kinds of doctors treat sleep apnea? Otolaryngologist/ear nose throat specialist – if the condition is caused by problems in the ear, nose and throat areas. Orthodontists – specialized dentists who deal with sleep apnea devices like oral/dental appliances. You may require consulting several specialists, if the condition is caused by malfunctioning of several organs of the body. How effective are sleep apnea surgeries? Uvulopalatopharyngoplasty, or UPPP: Claiming nearly 50% success rate, this is one of the most common surgeries. One can expect painful recovery that extends up to more than a week. Laser-Assisted Uvulopalatoplasty (LAUP): Right now the long term efficacy is modest. Throat dryness is a common complaint of this surgery voiced by nearly 50%of patients. 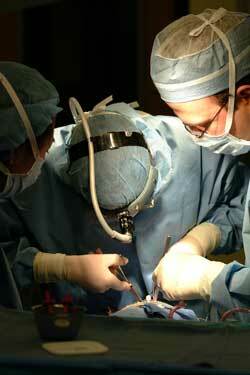 Tracheotomy: This surgery, claims 100% success rate but is rarely done these days. The down side of this surgery is that it involves making a quarter-size hole in the trachea for creating a direct passage for air to enter the lungs. Somnoplasty: In a clinical study called “Radiofrequency tissue volume reduction: Multilesion vs. single lesion treatments for snoring” published in the journal Archives of Otolaryngology—Head & Neck Surgery, it was mentioned that success rate went up to 61% with multiple procedures. What to expect during recovery period? Rapid control of pain, inflammation and other discomforts. Certain outcomes are in evitable after surgery for sleep apnea including pain, foul breath, bleeding, inflammation, etc. However, proper knowledge about their management can be helpful. Inflammation after surgery usually is maximum 48 to 72 hours after surgery. Fever is also a normal outcome of inflammation. Medication containing acetaminophen usually can keep the fever under check. Narcotics given post operatively could cause nausea and vomiting. To minimize the chances, do not have this medication on empty stomach. One of the medicines used to relieve post-surgical pain is giving the patient narcotics injection. However, for sleep apnea patients this could create further aggravation of breathing problems as it reduces the initiative to breathe. To take care of this problem, some surgeons use the epidural (spinal cord) route for injecting anesthesia. Narcotics also cause nausea and vomiting. To overcome this, it is wise to take these pain-killing shots after taking some food or liquid. Mild to moderate pain and fever can be managed with the help of ibuprofen. However, another school of thought advises not to take aspirin or aspirin-containing products within 10 days after surgery as this can increase the risk of bleeding. It is best to go by your physicians’ advice on post surgical instructions. It would not be wrong to say that to make the recovery period smooth, certain steps need to be taken related to the use of anesthesia and sedatives to be used during and after the surgery. Anesthesia, like sedatives can suppress upper airway activity. While extreme care needs to be taken during surgery, the time of awakening also should be closely monitored as the airway can be swollen and constricted. Even when the amounts of sedatives and anesthetics remaining in the body are small, it could still create post-operative breathing problems. Proper oxygenation, artificial ventilation and monitoring of cardiac rhythm should be provided by the healthcare provider or else, the presence of narcotic analgesics can precipitate respiratory arrest. To minimize all chances of respiratory distress, you may be advised to carry your own CPAP devices along with you when you seek admission for surgery. If you are not on CPAP therapy, ask for requisite help from the hospital authorities so that the device is kept ready for use in case of any breathing emergency. For some patients, it makes sense to admit them in an intermediate care or intensive care immediately after surgery to ensure proper monitoring of such supportive measures. Having the right kind of diet is important post-operatively. No matter which surgical method is chosen, almost all surgeries require soft foods and cool liquids during the first few days (sometimes weeks) after surgery. Sore throat could be bothersome during the first week, but subsides with time. Ear ache is also normal after about 3 days after surgery but should subside with the resolution throat pain. Vomiting a small amount of blood could be treated as normal, that happens within 10days of surgery but in case of excessive bleeding, you need to see the doctor immediately. Recovery times may also see some amount of fluid entering into the nose; but this problem disappears by the time you are ready for your first post-operative appointment with the surgeon. Can I ever return to living a normal life? Soft diet for 2 to 3 weeks after pharyngoplasty, tonsillectomy, genioglossus or hyoid advancement surgery. Liquid diet for about 4 weeks after surgery involving the maxillomandibular area. It could take several months before normal diet is allowed. After uvulopalatopharyngoplasty one ought to expect sore throat. 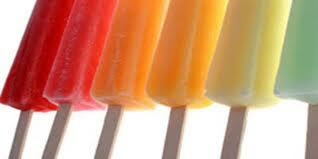 Therefore cool liquids and soft foods are recommended for several days following surgery. Sore throat can be reduced by repeated swallowing. Since dehydration is one of the biggest health risks after surgery, it is important that one has enough fluids in order to urinate at least once every 8 hours. If there is less urination, one might have to call the doctor for urgent medical advice. The American Dental Association post-surgery guidelines recommend not using straws while sucking liquids. Keep the activity level to minimal for the first day after operation. For the next 10 days, no vigorous or strenuous exercises for children and for adults add another 5 days. No heavy object (more than 20 lbs) should be lifted and bending should be avoided. Driving and operating machinery should be avoided if you are put on pain medication containing narcotics. You might have to take at least 2 weeks off from work. Exercises like running, swimming, aerobics, weight lifting, etc should be avoided for at least a fortnight after surgery as these usually cause bleeding. It is better to avoid traveling for about 15 days after surgery, because of the risk of bleeding. Talking and swallowing are good and can promote healing. However one needs to avoid coughing, clearing throat, crying, sneezing or shouting.